Do you love Chipotle as much as I do? 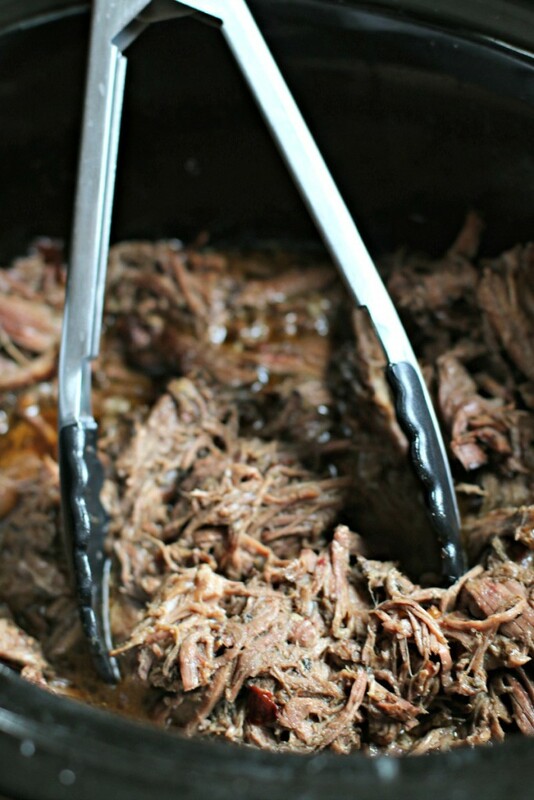 Then you will love this Copycat Chipotle Barbacoa recipe I made in my slow cooker. We eat Chipotle one night a week, no joke. I LOVE their Barbacoa. If you don’t know what Barbacoa is, I would describe it as a Mexican shredded beef. I found on Chipotle’s website the ingredients to make this beautiful Barbacoa. Though I didn’t know the exact measurements for the ingredients Chipotle uses for their barbacoa, I think I came pretty close. One of the ingredient is cloves, that’s the wild card in the recipe. I use just one pinch of ground cloves, it adds a depth of flavor to the meat. Don’t leave it out, I believe this is what makes the barbacoa taste so good! Heat a large skillet over medium-high heat. When the pan is hot add the oil. Brown the chuck roast on all sides, then add the roast to a 5-quart or larger slow cooker. Sprinkle the roast with the salt, oregano, cumin and cloves. Add the bay leaves, minced garlic, minced chipotle pepper, and adobo sauce (that's from the can of peppers) on top the roast. Add the water around the sides of the roast. When the roast is done cooking, remove and discard the bay leaves. Shred the meat with 2 forks. If the meat is really fatty, I do the shredding on a plate so I can pick out the fatty pieces and discard them. Add the shredded meat back into the juices in the slow cooker. This looks absolutely delicious Sarah! Pinned and shared! I haven’t eaten in a Chipotle in years. This looks so amazing. My family is going to love it. I know I have to try this!! One of my favorites! 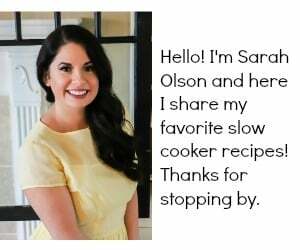 Great recipe, Sarah!! 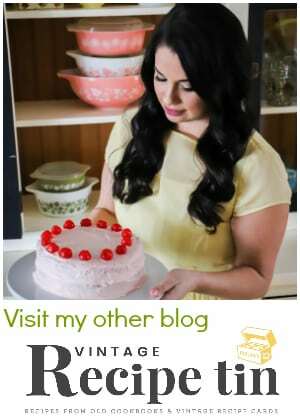 Love the idea of this restaurant favorite at home! 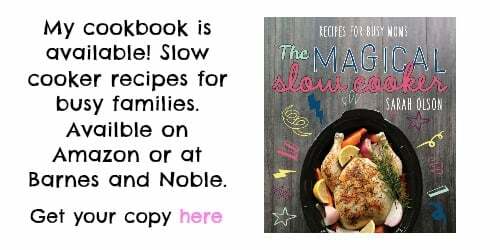 The slow cooker makes it look so easy! 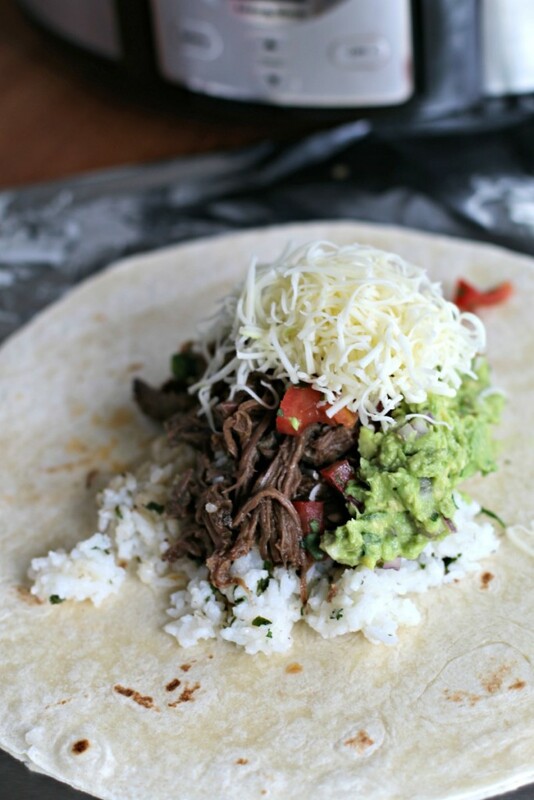 Yes, we do like Chipotle and I have a can waiting to be transformed into something delicious like this barbacoa recipe! 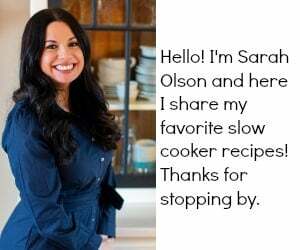 Hi Sarah! I am serving this, along with the rice, guac, and Pico tonight!! But what type of cheese is that you have pictured atop the barbacoa? I think it would go well with cheese in a flour tortilla…. I made this and the roast was not tender at all. The flavor was great, but I couldn’t shred the meat. What is the secret??? Did you open the lid at all while it cooked? Or if that wasn’t the case your crockpot could cook slow. I had a Target brand one a few years back, I could cook a roast all day and it would be hard as a rock when I got home from work. I gave it away for free at a garage sale. Just made your recipe today and it’s so delicious! No changes made and no changes are needed! We let the meat cook for 9 hours and it was flavorful and tender. Great recipe! What do you think of trying this in an electric smoker instead of a crockpot? Turned out great!!! Yum! And full of flavor.